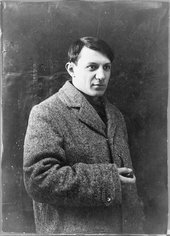 Spanish artist Pablo Picasso is one of the most famous artists of the twentieth-century. 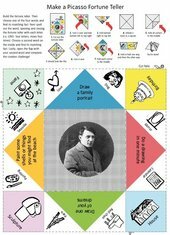 Use this fortune teller to discover more about his life and create your own Picasso-inspired artwork! 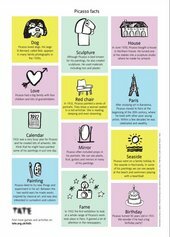 Download and print out this activity. You will need to print on 2 separate sheets of A4 paper. Make sure you recycle the fortune teller and scraps of paper once you are done!